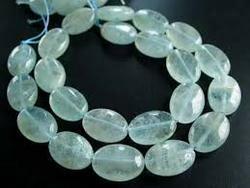 Pioneers in the industry, we offer aquamarine gemstone, aquamarine beads and agate strand from India. We are the leading supplier in the market to provide our clients the best quality and all range of Aquamarine Gemstone. 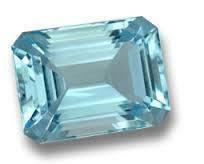 The offered aquamarine gemstone is valued in the market owing to superior quality and lustrous look. Our Aquamarine gemstone is available in all regular sizes, cuts and qualities as per the requirements of our customers. Also, this Aquamarine gemstone is finished at our state-of-the-art unit by the skilled labour following the set norms of industry. We offer our clients an optimum quality Aquamarine Beads that is valued for its stylish cuts and glitzy looks. Our offered beads are available in various sizes & shapes from 3 mm to 12 mm as per the requirements come out from our customers. Also, these beads can easily be availed from us in a stipulated time frame at nominal price. Looking for Aquamarine Gemstone ?